For our commercial customers we are here to meet your needs. 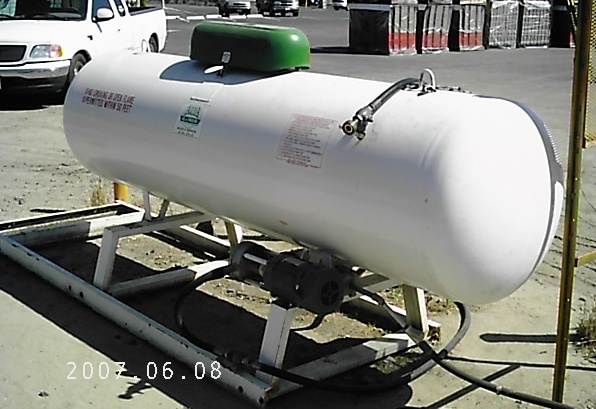 For example, we can provide you with a propane resale dispencer, refilling station for forklifts, a tank for your restraunt , or filling station for your companys fleet. If your buisness uses it- then we have a way of providing it! 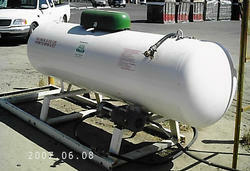 Tank with liquid hose and pump to fill forklifts, tractors, small tanks, or any other vehicle that operates with lpg. We can also set these up for resale at your store or service station. We have parts in stock for your forklift or lpg vehicle. Items such as vaporizers, rebuild kits, lock offs, lpg. fittings and valves are all available at our local office. Feel free to stop by or call to order other specialized parts. Our office staff are available to offer their professional knowledge and experience when it comes to propane service and supplies.